I am not an expert on car rentals – I only tend to hire a car two or three times a year, almost always for a trip out of London. I was therefore grateful when Head for Points reader Felix offered to write an introductory piece on Hertz Gold Plus Rewards and earning airline miles from Hertz. As usual with guest posts, blame me for any errors and not Felix, because I have edited the piece and added a few extra details here and there! Over to you, Felix …. When renting a car, like flying, there are nearly always a number of options at your chosen pick-up point, from the single branch operation to a multinational behemoth. Also, like flying, your loyalty preferences can pay an important part in choosing which one to pick. This post is about Hertz – one of the biggest and in my opinion often one of the best, with offices from Albania to Yemen and a good, clean product. Rather like a hotel loyalty programme, Hertz gives you the option of taking points in its own programme (Gold Plus Rewards) OR receiving a one-off chunk of airline miles. Unlike most hotel programmes, though, with Hertz you are usually better off taking the airline miles! This is free to join – click here – and confers a number of benefits such as storing your details in a profile for quicker rentals and points accrual. In my opinion the most valuable benefit of the scheme is it removes the requirement of the counterpart licence, meaning I could just walk into any Hertz office and drive out within minutes using only a credit card and my plastic DVLA photocard. While in city centre locations you may receive quicker service, staff permitting, at a Hertz Gold Plus counter, the airport pickup is infinitely faster with your name and bay number displayed on a board and keys in the ignition. Showing the rental document and your licence allows you to leave the parking lot immediately. A 1 car-class upgrade where available. This can also be leveraged when bargaining with the rental desk for a car you actually want rather than the one you have been assigned. Many HFP readers will have an American Express Platinum card and therefore will probably already have a Hertz Gold Plus Rewards – Five Star membership. This relationship has true benefits as I mentioned above. Speak to an agent at Hertz and they can load the CDP into your profile permanently so it appears as a dropdown when you log in. It is worth noting that the Platinum and Centurion discount codes above AUTOMATICALLY give you the additional 4-hour grace period. This means that you can still access this benefit even if you take airline miles from your rental instead of Hertz points. This can be surprisingly useful if going away at the weekend – a rental from 12 noon on Friday to 4pm on Monday is only priced as three days and not four. Amex Platinum and Centurion cardholders also benefit from car rental insurance for primary and supplementary cardholders so you have the option of declining all offered packages where not mandatory. As a quirk, one cannot claim against oneself, so if you crash into a vehicle rented by a supplementary card holder your insurance is invalid! You will also find a range of other discount codes online. Some are theoretically restricted to members of certain frequent flyer programmes or employees of certain companies. The Hertz website will also often give lower prices depending on which country website you book with. It is up to you whether you are happy going down this route and claiming discounts to which you are not technically entitled. Should you collect Hertz points or airline miles from your rental? 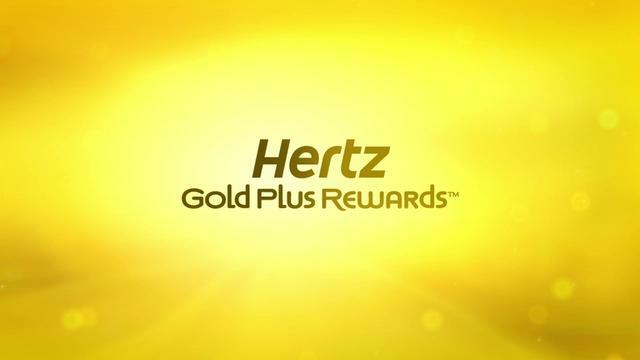 You have the option of taking Hertz Gold Plus Rewards points or airline miles from your rental. I usually select airline miles as they offer better value. With airlines, the earning rate varies. The most generous is Virgin Atlantic Flying Club at 1,000 miles per rental. I’m currently saving up American Airlines AAdvantage miles (1 per $1 spent, although there is a 400% bonus until June 2014) for a US transcontinental booking – American has much lower taxes than UK carriers and you can take advantage of a ‘free’ US leg after or before an international flight. If you want to earn Avios from your booking, you will need to credit it to Iberia Plus. You will earn 300 Avios per day, more for larger cars. You cannot credit your rental to British Airways Executive Club due to the exclusive deal that BA has with Avis. 600 Hertz points = 500 airline miles, 1,200 Southwest Points or 1,000 IHG Rewards Club Points. This is generally a poor deal compared to using them for a free rental. Booking a car is where things start to get interesting. Below is a price comparison of a number of searches for a midsize car between Friday 6th and Monday 9th June. Totals in yellow are the marginally more expensive Pay at Location prices. You can see from this that there is huge variance in prices, so putting in the time to play around with location and discount variables can lead to some tangible rewards. This holds true for every location. Booking in Europe is generally cheaper from the USA and vice versa, but try selecting a country with a (relatively) devalued currency, such as Russia and you may find some good deals if you don’t mind paying in Rubles. Finally, as a seasoned traveller you will know there is always room for negotiating. You’ll also know that whingeing is the fastest way to shut down any progress you could be making, so put on your best ‘is there any chance of an upgrade’ face and wind up the charm. Hertz counter staff are empowered to make any substitutions possible. If you visit one location regularly it is worth striking up a conversation about how, while you ordered a VW Golf but you’ve been given a Volvo estate, you don’t really need all that space and would much rather an Audi A4. Another tactic for those that visit the same location more than once is to enquire about the fleet. You can save £10 per day by ordering a cheaper car you know they don’t carry at that branch. If all else fails, offer a cookie (Benny at London Victoria is partial to chocolate chip) and a smile and they’ll remember you for next time …..
15,000 Miles & More miles for £190 .... plus 6 months of the Int'l New York Times! I have used Hertz for many years. While vigilance on pricing and state of the car at pickup is always necessary with any company, I rate Hertz as currently the best of a “baddish” lot. – if you phone Hertz central reservations to book, often the agents will know of promotions like Mastercard that periodically offers free one ways if drop is within same country. This one in particular recurs. They may know of other promotions also that you might not find booking on the internet. – The Prepaid option can vary from only very slightly cheaper than paying when you bring back the car, to being very much cheaper than paying on drop-off (“Local” option). A key difference is that if you underrun the number of days you prepaid you get nothing back. Worse, if you overrun on a prepaid any extra days are usually charged at a very high rate that is on your documents when you pick up the car and should be avoided. If you are unsure how many days you need the car, Hertz agents advise that the best thing to do is to book the maximum number of days you are likely to need at the local (not prepaid) rate. On a non-prepaid rate if you bring the car back at less days than you booked you will not have to pay the extra days that you booked. You will only be charged pro rata on the rate you booked and only for the days you actually used. So if you book a local rate for 10 days and bring back at 7 days, you will only pay 7/10ths of the rate you prebooked at. If you had prepaid 7 days and then added 3, it is likely you would far exceed both your prepaid amount and perhaps even multiply the original prepaid amount by 2 (I am not kidding!) and also far more than the locally paid rate you would have been quoted upfront. This is particularly useful to remember if you are booking at peak periods when the rates per day are very inflated. Recently I saw in terms that they may have the option to make a small charge for early return, but it was around £6. If I book excess days to preserve the price in this way, as a courtesy I keep the branch advised of my true intentions as to when they will get their car back. Yes Hertz is worse than the airlines on ratcheting up prices quoted each time you ask for a quote on the internet. If you login they will often fail to quote cheaper cars or put them at the bottom of the list with “click to quote” rather than the price, etc. They are very naughty and keeping the cleanest system you can is useful. I personally would not plan to use a CDP or other code to which I am not entitled. This is a useful guide, thanks to the guest contributor. I find the whole rental car situation quite confusing with regards to all the surcharges and insurances that are (not) included. I note that its possible for incredible reductions using the codes posted on Flyertalk. It seems that Avis is a good one for Iberia Avios as well as Sixt. I would appreciate it if Raffles were to make a guide to all the discount codes that are easy to follow to redeem for car rental! I agree with Lady London – I’ve found 3 weeks out to be a pretty good time to book for the cheapest of the variable rates, though of course sales etc can affect this timing. 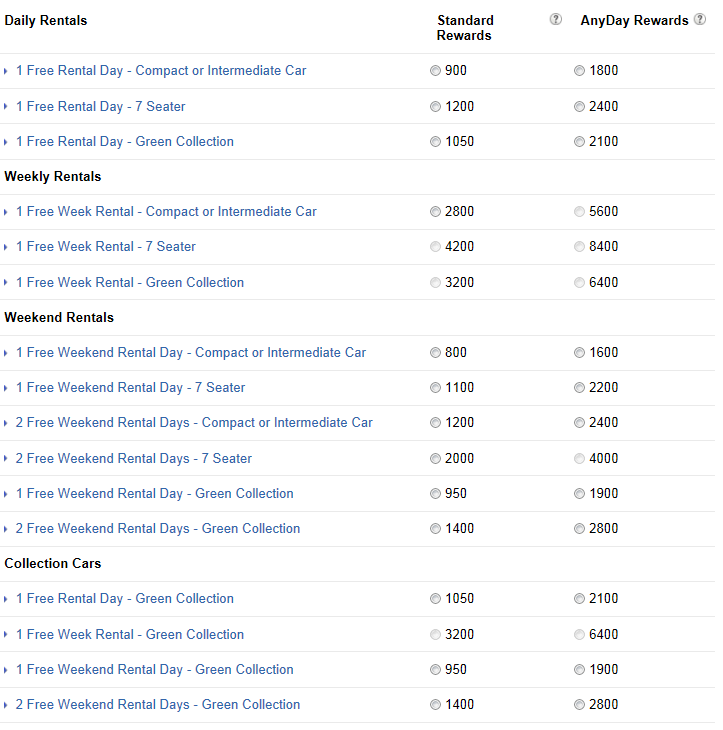 I always search for sale and other CDPs before a rental and NEVER login to get a quote. I find the prices have always been quoted at hugely inflated prices for existing members, even if no CDP is used! From memory, you can login at the end to link your booking (been a little while, and annoyingly, my local Hertz in Kingston has closed). I have still most times got a free uprade thanks to membership (I assume). Often at various rental companies they have tried to talk me into paying for an upgrade, then given it to me for free anyway. Don’t fall for their tricks. Despite linking rewards numbers, I find the posting of points to mostly be a failure. And I think a failure every time with Iberia Plus whom I’ve chosen due to point bonuses. Be prepared to fight to claim. I consistently find a huge divergence between the prices depending on if I am logged on as a gold member, or not. As an example, a 24 hour rental at LCY, April 5….. I have checked my profile preferences, all set to the minimum. I was using the 30% sale button both times…. What I have done in the past to get the way cheaper rate is log out, make the booking and put my gold number in the comments box. As I was needing to book some Hertz rentals. 09/06/2014 – 15/07/2014: Sao Paolo. I do not have access to British UK-cards. Thanks Raffles & Felix for this useful review. A couple of thoughts from me after making a few Hertz bookings over the past couple of years since having Amex Plat. 1) I find the Plat CDP gives me 20% off, not 15%. The 4h grace period is very useful although it doesn’t apply in all countries – https://www.hertz.com/rentacar/hertzlink/index.jsp?targetPage=HEL_AmexCenturion_GB.jsp gives some details. Also some places are unaware of it – for example in Uruguay they charged me for a second day, eventually I was able to get this reimbursed via Hertz CS as it was clearly confirmed in the booking. If you’re unsure if it’s included then try changing the booking times to see if you’re being charged extra in the 4h grace window or not. 2) Hertz points – the main reason I’ve been collecting them is I find they often have promotions on with bonus points, therefore I end up getting a lot more than 1pt per USD. I agree for most though it’s probably best to just go with airline miles. 3) 100% agree re. checking prices using different Hertz country websites and logged in/not logged in. I also tend to make plenty of use of Chrome’s Incognito mode to ensure they don’t know of any previous searches! I got a 50% reduction in a recent Geneva car hire in their Global Sale by using the UK website and searching once logged in (as I’ve got it set to remove all insurances due to Plat cover). Be aware that sometimes though the rates are paradoxically cheaper with basic insurances included!! 4) I’ve not yet experienced the setup where everything is ready and waiting for you in the car park, however normally they’ve got everything preprinted for you as a Gold member so it’s pretty quick to sort. 6) Flexibility – I’ve found Hertz pretty good at allowing changes to reservations close to pick-up – I therefore keep an eye on the prices and if it’s looking better then I make a new booking and cancel the old one. 7) Other companies – if you have Hilton Gold/Diamond then you can get status with Sixt – I received free Sixt Plat thanks to HHonors Diamond. Especially in Europe they can be worth a look. I booked yesterday a 6-day car rental in Sicily and payed £116 for it. However after I signed up for Hertz Gold Plus Reward, they were asking £360 for the same days and car. Whatever extra services you get, it is not worth £250!!! Of course I logged out and booked out it for the cheaper price. Yes, this is a big issue with Hertz GP. Unless you know how to override the default settings, it adds loads of stupid stuff and changes discount codes. Best to book without it and add the number later. Great article – thanks. My experience is that the Hertz profile is massively useful for saving time at 99% of airport locations – the documents will be pre-prepared and ready to go, but city centre branches rarely pre-print the documents. The Gold upgrade is something of a lottery. I’ve had some spectacularly nice upgrades in some locations whereas other (Glasgow airport I am looking at you) only manage an upgrade about one time in ten…. The profile thing (as others have pointed out) can also work against you. I needed to hire a van (UK meaning – a big thing to put furniture in – not an MPV) and when logged in the system would not give me a quote. Logged out I got a great quote….What gives with this Hertz…? There was a bug on the website in past few weeks. If you wanted a van, you had to go back and pull down Van category again and tell it yes you really did want a van and search again. Then it worked. The site does have a few problems like this that occur from time to time. All I would wish now is to be able to earn Avios or other Miles for Vans but for this category miles seem to be nonexistent even when miles are awarded by spend.